Offering research on after school literacy programs designed around teacher-student collaborative inquiry groups, this book demonstrates how adolescent learning is uniquely successful when grounded in dialogic conversation. 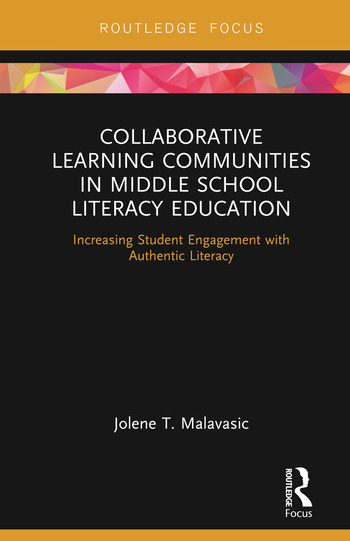 By providing a robust theoretical framework for this approach in the middle school, Malavasic showcases how developing a learning community which focuses on mutual respect and attention to students’ personal academic literacy histories can become the catalyst for the overall success of teaching and learning in the classroom. Developing Collaborative Learning Communities to Enhance Students’ Literacy Practices is the perfect addition for researchers, academics, and postgraduate students in the fields of literacy and those on Teacher Education programs. This volume positions collaborative inquiry learning as an effective way forward for teaching and learning in the middle school and is essential for those wanting to explore this further. Dr. Jolene Malavasic is a faculty member in the Department of Literacy Teaching and Learning at the University at Albany, USA.